If Kathryn Bigelow’s Iraq-set bomb disposal unit drama The Hurt Locker caught everyone by surprise, the anticipation for her follow-up is tangible. An exacting procedural about the hunt for Osama bin Laden, it’s been in development long before the al-Qaeda leader and mastermind of the 9/11 attacks was caught and killed in a three-storey hideout in Pakistan in May 2011. Given this, there’s a tremendous urgency to Bigelow’s film, again written by her Hurt Locker scribe, former journalist Mark Boal. 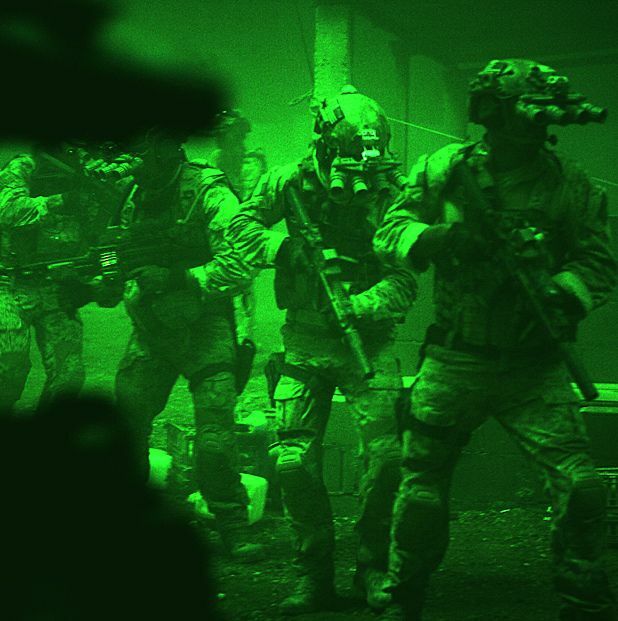 Shot with a documentary-like rigour, what fascinates about Zero Dark Thirty – US military speak for 12.30am, the time the US Navy SEALs stormed bin Laden’s compound – is how it’s seen primarily through the eyes of one woman. Jessica Chastain plays Maya, a young CIA officer who is brought out to Pakistan in 2003 to focus solely on intelligence-gathering concerning the whereabouts and capture of their terrorist target. Initially joining colleague Dan (Jason Clarke, excellent) at a covert black site to extract information from a detainee – she watches, shocked, as they subject him to psychological and physical tortures – it’s just the start of a long and complex journey for Maya, one that frequently hits dead-ends despite her tenacity. Resembling David Fincher’s Zodiac, in which a reporter obsessively tracked a phantom-like (but very real) serial killer, Bigelow never lets the trail go so cold that we lose interest. Backed by able support – notably James Gandolfini as US Secretary of Defence Leon Panetta – the superlative Chastain dominates, gradually going from a confident, fresh-faced rising star to a world-weary, life-sapped husk, drained by her pursuit in the shadows. You could easily read this as an account of Bigelow’s own rise in the male-dominated world of Hollywood. But, movie industry metaphors aside, Zero Dark Thirty is a gripping, authentic-feeling account of the dark side of the war on terror. General release from Fri 25 Jan.
Action thriller from Kathryn Bigelow, the Oscar winning director of The Hurt Locker. Zero Dark Thirty follows a team of US Navy Seals and CIA operatives in their decade long effort to capture or kill Osama bin Laden. A gripping, authentic-feeling account of the dark side of the war on terror.